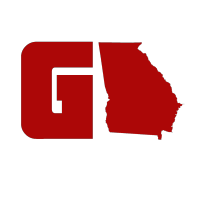 We present the NEW/BIGGER official Georgia car/laptop decals! Ride around the state showing off your Georgia pride. These are NOW 3.00' x 4.75' car decals/stickers that will surely stand wherever you are in Georgia. From I-16 to I-75 people will be taking pictures of your car. Please follow us on Instagram @GAFollowers!